Fruit… The New Fast Food! 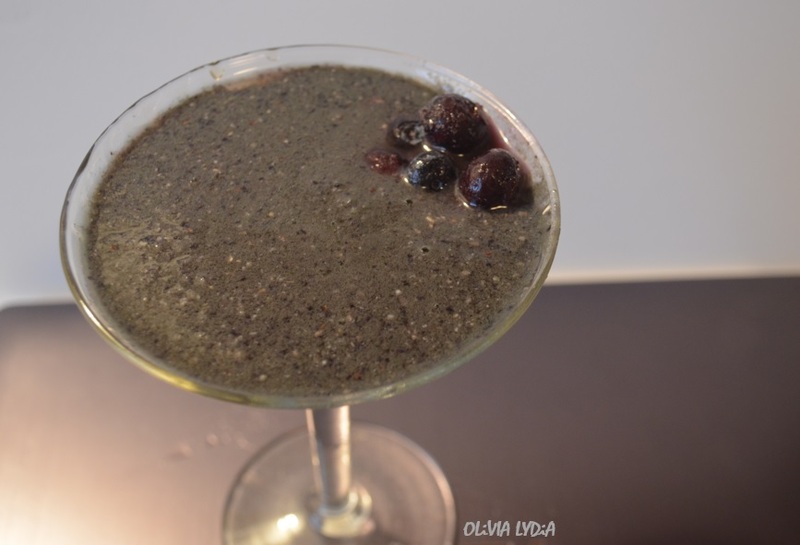 [+Smoothie Recipe] – Olive For Greens. 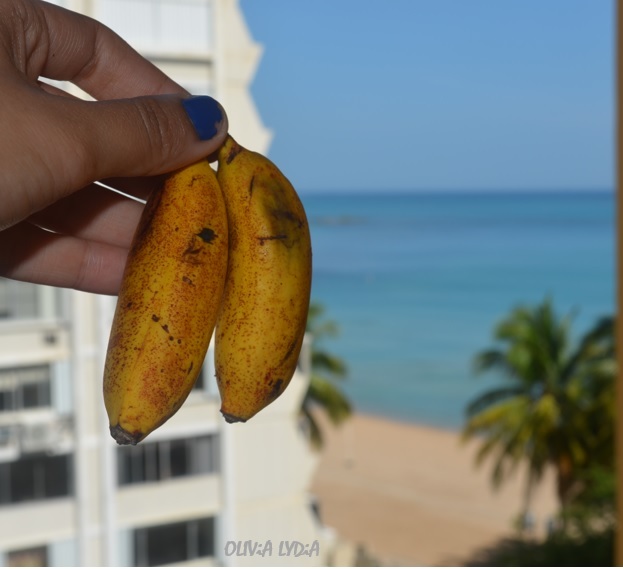 Photo taken in Puerto Rico… These baby bananas are very popular there! Natives add these to egg omelets. I think it’s a safe assumption that people love fruits more the vegetables. Generally speaking of course! Fruits are a more of an on-the-go food than vegetables. Say, you have a smoothie for breakfast get dressed, head out the door, and as you touch the door knob your tummy growls! I’m sure you’d grab an apple from your fridge and keep it moving before you grab a broccoli crown. [ 😉 ] While this blog will encourage you to eat more of both, this post will specifically focus of fruits. So get your sweet tooth ready! Move over fast food restaurants. There’s a new fast food in town called apple… and peach… and banana… and, well, you get it! I don’t know about you, but I can think of so many fruit salad combos using the fruit listed above! …because livers love lemons! Try saying that 5 times fast! Most people put lemon in their water. Do you do it? If so, do you know why? Lemons help eliminate waste and help with regularity. This also aids in weight lost (which=flatter tummy). Add the juice of one lemon to warm water and drink it first thing in the morning. In fact, I do this every morning. If that is not enough to convince you, lemons are loaded with Vitamin C which is good for your immune system which means you are likely not to get sick! Bananas: Peel like a chimp! Chimpanzees peel the banana from the bottom rather that the top, the way we do it. When we do it our “usual” way, sometimes we bruise the tip and lose that piece. By peeling it their way, the banana isn’t bruised and nothing is wasted. Freckled Bananas: Chop and freeze then when they have too many bananas and one too many freckles. They can be added to smoothies later. Grapes: Freeze grapes and add to your water instead of ice cubes! Berries, watermelon, Mango, papayas: Almost any fruit can be frozen and added to smoothies when over ripping or instead of using ice. Strawberries: The seeds on the outside of strawberries are actually the ovaries! Pineapples: Most people think pineapples grow from trees. Not true! They actually grow from the ground. 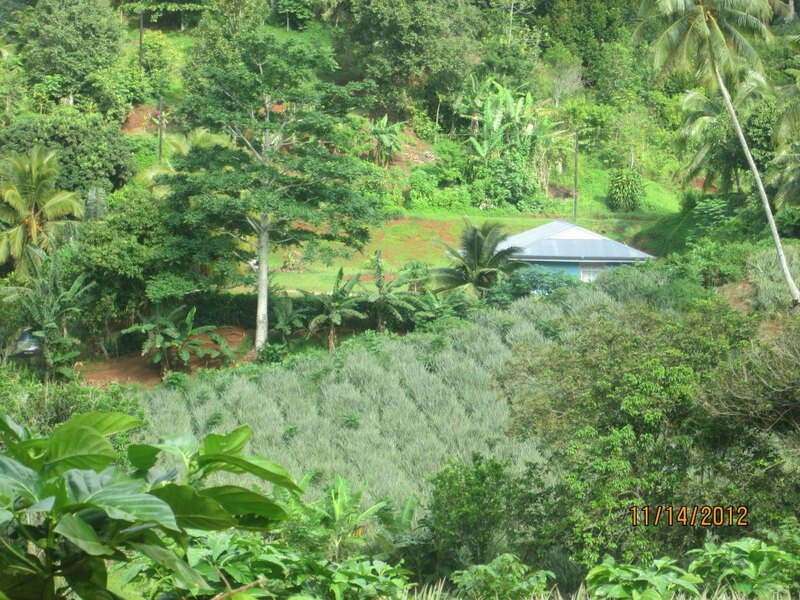 When I visited Tahiti, I went to a pineapple plantation (picture below). It was amazing! 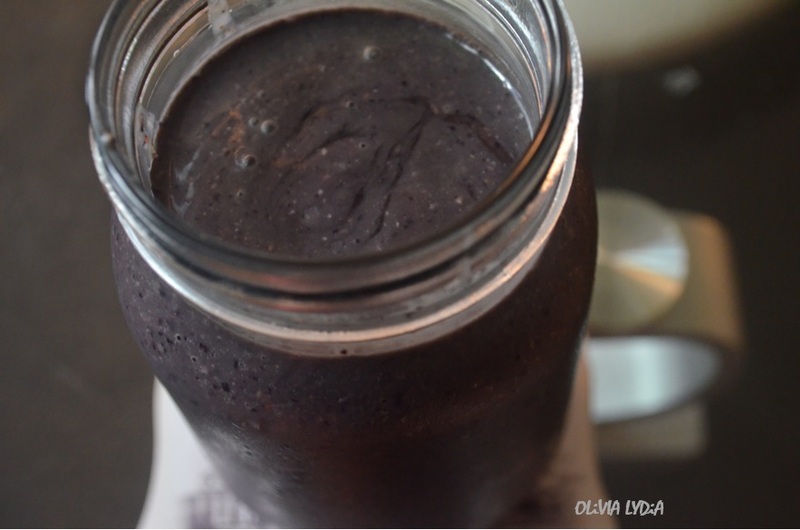 BONUS RECIPE: Dark Berry Honey Smoothie! This fruit blog post wouldn’t be complete without the super fruit Acai! If you don’t yet know about Acai (pronounced ah-sigh-ee) it’s a berry that’s harvested from acai palm trees, which are native in South America rainforests. Acai is loaded with antioxidants and can aid in weight loss, detoxification and improve overall health. Paired with the other ingredients, this is a delicious and refreshing smoothie! If you do not like green smoothies, don’t worry! You will not taste the spinach. You will just reap the benefits! Blend all ingredients in a blender. Enjoy! For additional (less green) smoothie recipes click HERE! Also, check the Recipes tab! Previous Post 3 Green [Not SO Green] Smoothie Recipes!